As the dimensions of volence and terror increase across the world, and it is becoming clear that - humanly speaking - none of us is really safe right now, we pause to reflect on the latest Christian martyr and the impact of the sheer “ordinariness” of his godly life. What sort of man was Fr Jacques Hamel? 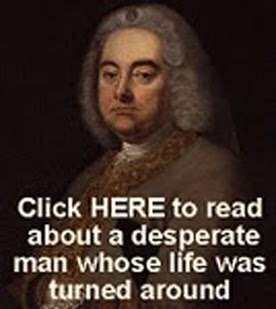 This snapshot of a godly priest and martyr was posted by Dan Hitchens, deputy editor of the Catholic Herald, on his blog HERE. Fr Jacques Hamel and all holy martyrs, pray for us. 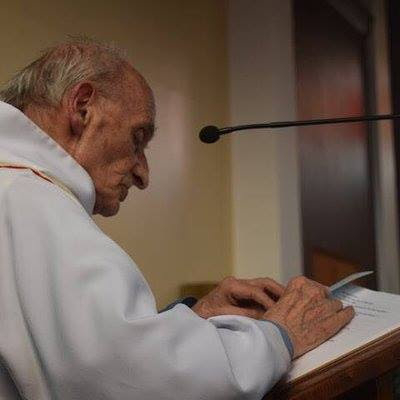 Fr Jacques Hamel, murdered yesterday by Islamist terrorists at the age of 85, has been called the first priest-martyr of Western Europe in the 21st century. But before his death, he insisted that holiness lay in ordinary life. On All Saints’ Day last year, he wrote in the parish newsletter: “Do not think holiness is not for us.” He told parishioners that holiness did not necessarily mean “doing extraordinary things”, but could mean living a simple existence like that of the Martin family. Noting that Louis and Zélie Martin, the parents of St Thérèse of Lisieux, had recently been beatified, Fr Hamel said: “Their life was simple, like many of our families. But their whole existence was oriented towards the Kingdom of Heaven. Their only desire was ‘to serve God first’. Fr Hamel was said to be a quiet man, a priest widely liked for his gentleness and constant availability. “He was always serving people,” one parishioner told L’Express. Fr Hamel was born in upper Normandy, only a few miles away from where his life would end, on November 30, 1930. 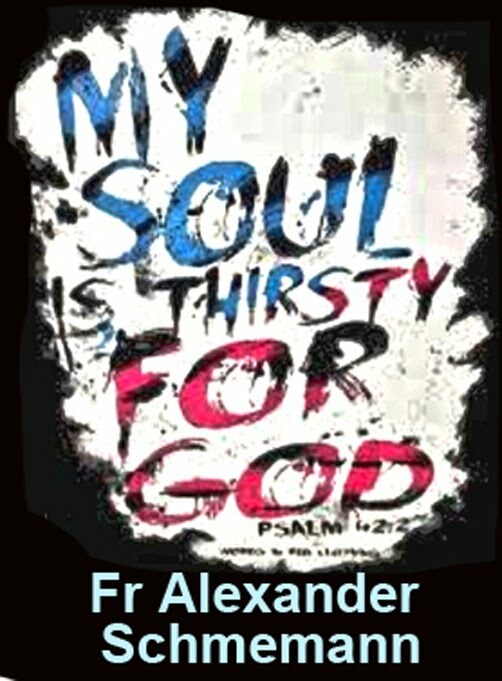 He was ordained to the priesthood in 1958 and spent his life in five Normandy parishes in turn. From the tributes, a picture emerges of a warm and conscientious character, perhaps rather shy – “He was very discreet and didn’t like to draw attention to himself”, according to one local – and someone dedicated to his ministry. Fr Hamel was given the chance to retire at the usual age of 75, but decided that (partly because of the priest shortage) he ought to carry on. Fr Hamel earned the respect of his fellow-priests. Fr Aimé-Rémi Mputu Amba, who had lunch with him every week, told Le Figaro that Fr Hamel was “a ray of sunshine” whenever he came into the room. With the exception of a few bookshops and vestment suppliers, I have not used this blog for advertising. 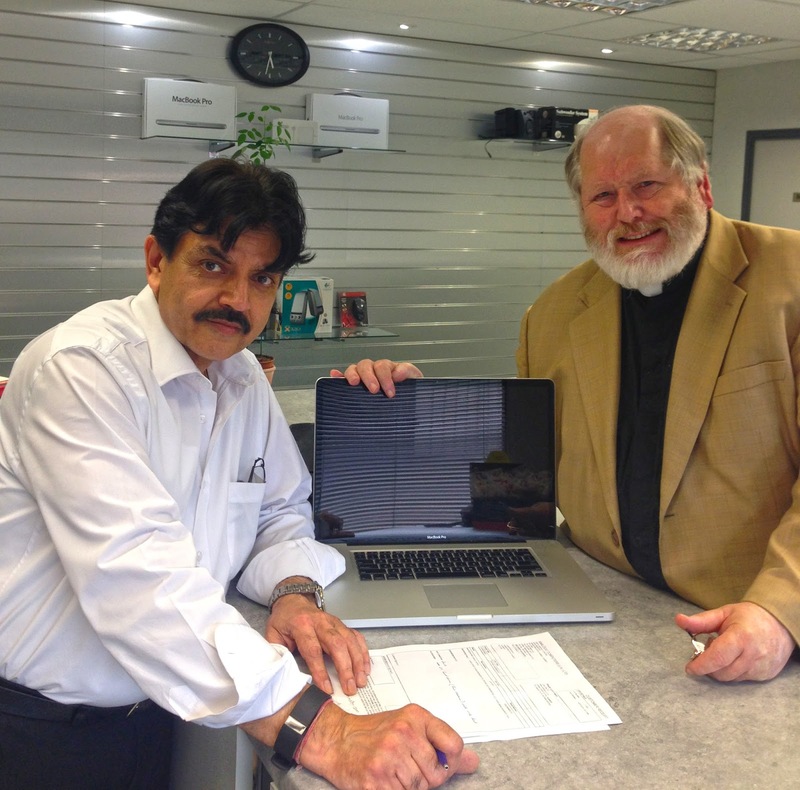 But today I have decided to be a bit blatant and let readers in and around London know about a great place to go if they need computer repairs or upgrades. I have used my 17” MacBook Pro every day since May 2010 when I purchased it (together with some top-end publishing software) using the very generous farewell gift from parishioners in Brisbane. It has accompanied me on my travels within Australia and through a range of countries, surviving its fair share of buffeting in some of the rougher places I visited before receiving my Visa to live and minister in the UK. Indeed, it has been a huge support to my life and ministry. For a while I have known than it needed a clean and a check-up. On top of that, since Christmas I’ve had to remove some large files onto an external storage drive, because the internal hard drive was filling up. [Yes . . . I am looking at cloud storage back-up as well!] So I went to the local Apple Store to check out the possibility of paying off a new laptop with greater storage space. But Apple no longer make a 17” version, and that is the perfect width screen for my eyesight when two documents are open side by side - a fairly common occurrence. The young man in the Apple Store assured me that it was possible to replace my 500 gigabyte hard drive with one double the capacity, for a small fraction of the price of a new computer. 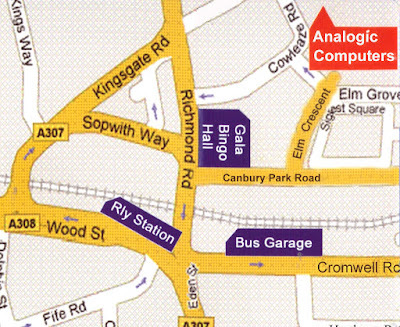 He gave me the address of Apple authorised service provider ANALOGIC COMPUTERS, not far from St Luke’s Kingston, and just near the railway station. I called in there to see the proprietor, Raj, and he confirmed what I had been told. 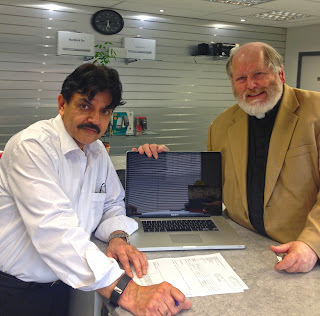 I was very impressed with the old fashioned friendliness of Raj and his staff, as well as his patience and skill in explaining to me exactly what was required and why. So, early yesterday I took my computer to ANALOGIC COMPUTERS. I collected it just before they closed in the afternoon. Not only had they successfully installed a 1TB hard drive in place of the 500GB one, and migrated everything from the old drive onto the new one; they also thoroughly cleaned the computer inside and out, checking to see that everything else was working well. So, friends, it gives me much pleasure to recommend Raj and his team to you. They are incredibly helpful; and they really care for their clients. ANALOGIC COMPUTERS are just 5 minutes walk from Kingston Railway Station (i.e. 28 minutes from Waterloo by train!). Also there is plenty of car parking on site, just near the front door. You can visit their website HERE. By the time priests, pastors and Christian counsellors reach their 60s, chances are that they’ve used Philippians 4:13 hundreds of times in public proclamation and private encouragement, and also as something to hang on to in their own times of stress and discouragement. I know that I have. It was also the favourite text of the great evangelical anglo-catholic Archbishop Philip Strong who proclaimed the Gospel in Papua New Guines during wartime and peace. It is written in big letters on his gravestone in Wangaratta cemetery (in Australia)! One of the most startling reflections on this text is in “The Most Misused Verses in the Bible,’ by Eric Bargerhuff, who points out that the way many preachers isolate it from the drift of St Paul’s letter twists it to say something quite different to what the apostle wrote. The “prosperity preachers” have a lot to answer for. They have taught people - using this text and others like it - that the closer they are to Jesus the more stuff they will have . . . the richer they will be . . . with bigger houses, better cars, flamboyant lifestyles . . . and so it goes on. For everyone who is blessed by their strange doctrine, there are hundreds of casualties, spiritually, emotionally, and - quite often - financially (including people who have gone into debt to send money off to these “ministries” with the expectation of becoming financially wealthy themselves as a “reward” from God!). There is something grotesque about an evangelist boasting of how he “believed God” for a fancy car, a personal aeroplane, or a big house at the posh end of town, implying that God so approved of his ministry as to move the hearts of supporters to increase their giving and supply those “needs.” How does that stack up against our brothers and sisters whose faith leads to persecution, poverty and even bloody martyrdom in the Middle East, Egypt, Nigeria and other places? How does it stack up against nuns who have given up everything and live in poverty themselves, trusting the Lord for his provision, and caring for the destitute in the slums of India? For me, the real problem with the “prosperity gospel” preachers is that they cause a lot of people to go to the opposite extreme and NEVER really trust the Lord in any meaningful way for his provision. That is a real tragedy, because we should be relying more and more on him. But the same thing happens in the area of healing. Some evangelists tell people that psychologists or medications are not necessary (and even a sign of lack of faith! ), with the result that lives are destroyed, and people’s confidence in the Church’s authentic healing ministry is undermined. 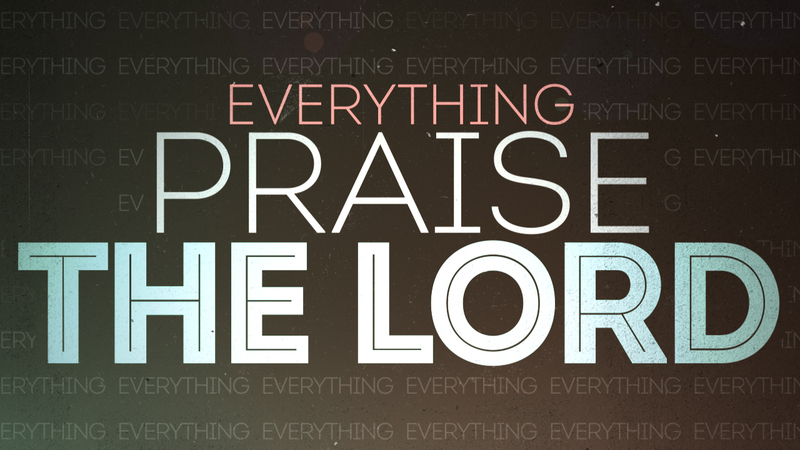 Of course, Philippians 4:13 is about God’s provision. 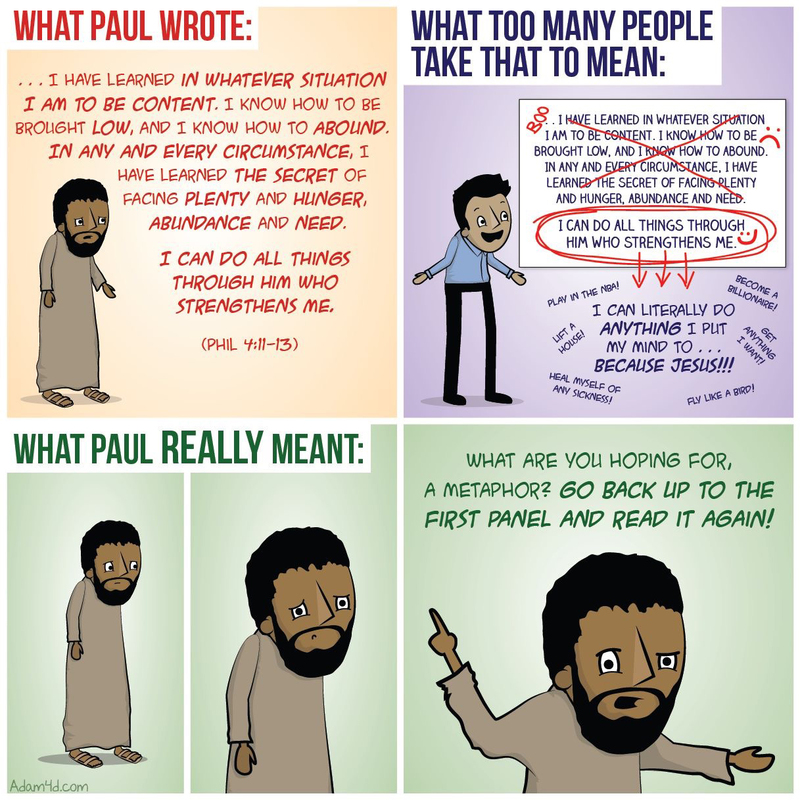 But to read it in the flow of St Paul’s letter, it’s really all about God helping him to be content, whatever the outward circumstances of his life. And St Paul says that. Sometimes he’s been really well-off; other times he has been desperately poor. But he is content. St Paul’s paragraph is about contentment with what we have and where we are, and this is something he says he has found “in Christ.” And, remember, when he wrote this passage he was in prison! When I arrived in Brisbane to be inducted Rector of All Saints’ Wickham Terrace on 31st May, 1995, the Churchwardens, Trustees and I had the sense that we were pretty well starting from scratch (again!). We certainly had our challenges, and it was hard work. But by the grace of God, over the next ten years we saw lots of lives touched by God - especially young people - many of whom have gone on to serve the Lord in a variety of Church communions. Very soon after arriving in Brisbane I became aware of a fledgling Shrine of Our Lady, a short drive from the city into the bush - the hinterland above the Gold Coast. 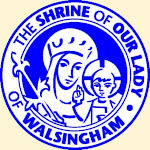 The Shrine was dedicated in that same year. It was set up by the Pauline Fathers, whose vision was more than matched by the generosity of benefactors. The Prior at the time was Father Michael Szymanski who worked so hard with his own hands. As well as praying the Divine Office and celebrating Mass he was building, cleaning, gardening, working on the tractor, chopping wood for the combustion stove, and doing all the cooking without electricity. As priest and Prior he lovingly ministered to pilgrims who made the journey to the Shrine. After a few visits to him, I realised that my task at All Saints’ was fairly straightforward compared with what he had to do there in the bush. But it was so inspiring over those years to watch “Marian Valley” develop into the amazing Shrine it is today. That really encouraged my faith as we laboured in the heart of the city! Father Andrew Joachim Dembicki succeeded Father Michael as Prior, and then Father Columba Macbeth-Green, who two years ago became the Roman Catholic Bishop of Wilcannia-Forbes. 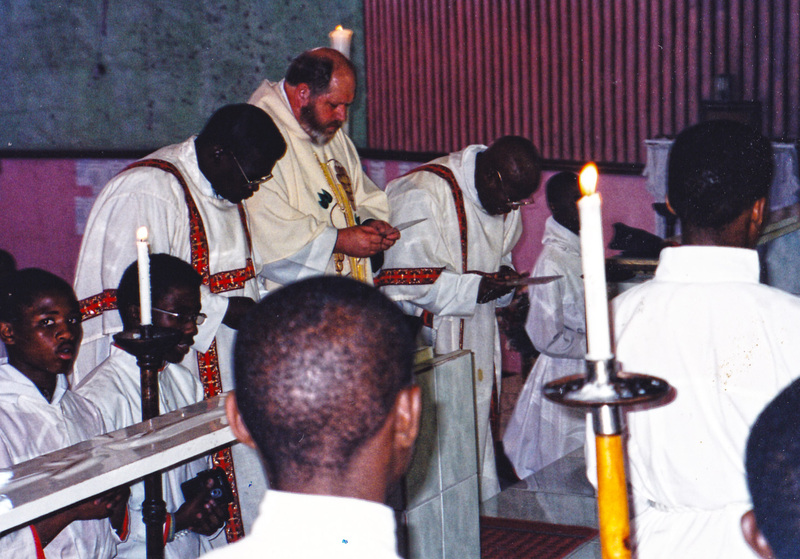 Father Columba was particularly sensitive to the needs of Forward-in-Faith Anglicans and Continuing Anglicans, and was enormously hospitable to us. I conducted two retreats and a number of quiet days there during his time, and whenever overseas visitors came to minister in the parish or for Forward in Faith, a drive to Marian Valley with prayer at the Shrine was par for the course. Go to the Marian Valley website for more information, and also to see photographs of the property. The main church “the Black Madonna Chapel” seats 500 people under the roof, and has a true copy of the Miraculous Icon of Our Lady of Czestochowa. The other chapels, the monastery, the Stations of the Cross are all beautiful. 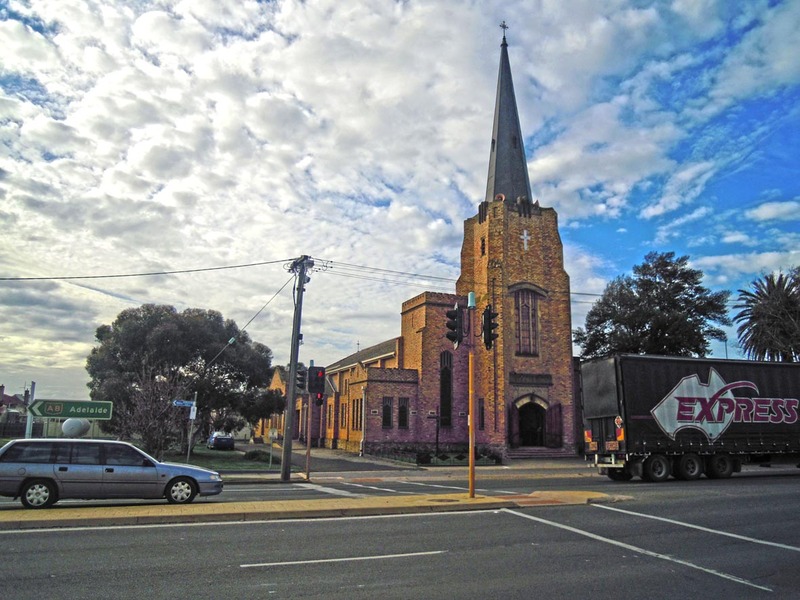 And that's not to mention the special feature of Marian Valley - the individual Marian shrines set up and paid for by different ethnic groups who are now part of Australian society - shrines of Our Lady under the titles by which she is known across different cultures. So, the Vietnamese community has a shrine to Our Lady of Lo Vang, the Indian community, Our Lady of Vailankanni, the Polish community, Our Lady of Jasna Gora, and so on. These shrines come alive on national feast days. The Pauline Fathers began as a monastic order in Hungary in 1215 under the patronage of St Paul the Hermit who had lived the solitary life in Egypt 870 years earlier. The Monastic Order of St Paul the First Hermit was founded in 1215 in Hungary. The Order drew many saintly hermits into monastic communities. It spread rapidly through Hungary and then into Croatia, Germany, Poland, Austria and Bohemia. There was a time when there were over 5000 Pauline monks in Hungary alone. In 1382 the Order became the custodians of the Icon of Our Lady, believed to have been painted by St Luke the Evangelist. A Shrine for it was established on a hill “Jasna Gora “in the small Polish town of Czestochowa. Today this Shrine is the mother house of the Order, and is also its largest monastery, with over 100 Fathers and Brothers. 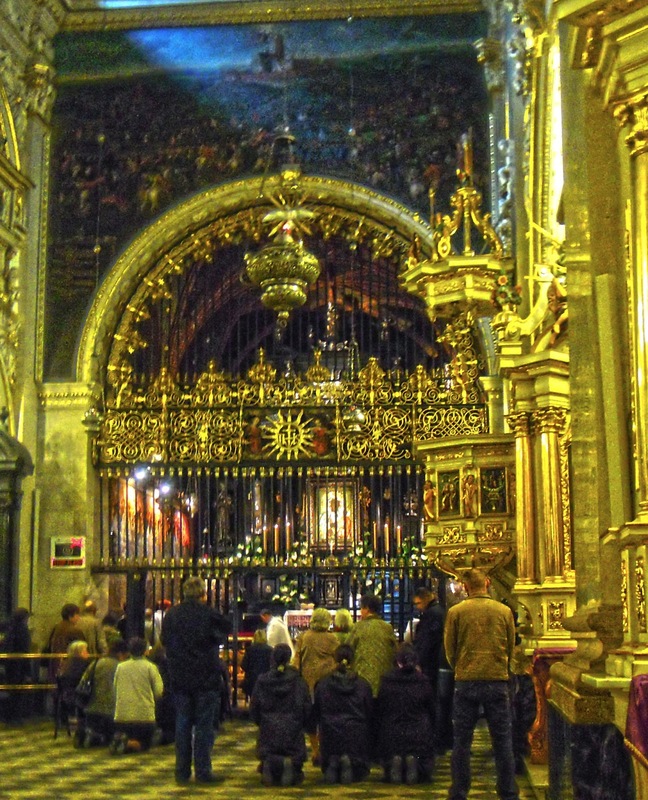 More than four and a half million people from around the world go there on pilgrimage each year. I knew about Our Lady of Czestochowa long before going to Brisbane. In the lead-up to my ordination to the Diaconate in 1979, Bishop Hazlewood introduced me to Father Kevin Joyner, a mystic, spiritual director and intercessor, who had lay people and clergy visit from far and wide, knowing that Father Kevin had the patience and wisdom to help us deepen our spiritual lives. He had visited Poland, and he once said to me that his favourite Shrine of Our Lady was Czestochowa, and that everyone should try to go there on pilgrimage before they die! The echoes of Father Kevin’s words, together with all I had heard from the Pauline Fathers in Australia, meant that when I was in Krakow for a week during Lent 2011, I knew that I had to visit relatively nearby Czestochowa. I worked out a day trip, getting there on a very early morning bus, and returning in the evening on the last train for the day. For me it was an overwhelming experience. The Shrine was so small compared with what I had expected, and compared with, say, Lourdes. One of the English speaking brothers explained that when they have big celebrations with tens of thousands of people - or more - they use the sloping hill away from the shrine itself. The intimacy of the Shrine is part of its magic. As I went into the church for Mass, there was a small group of pilgrims - an ordinary parish group - singing gently and spontaneously a praise chorus to the Lord, the tune of which I knew from back in the 1960s and 70s charismatic renewal. Now, I know that every Mass takes us to Calvary as well as to heaven. But that Mass was one of the special times of my life. Everything about it imparted a real sense of the anointing of the Holy Spirit - the singing, the preaching, the prayers, and the Communion. 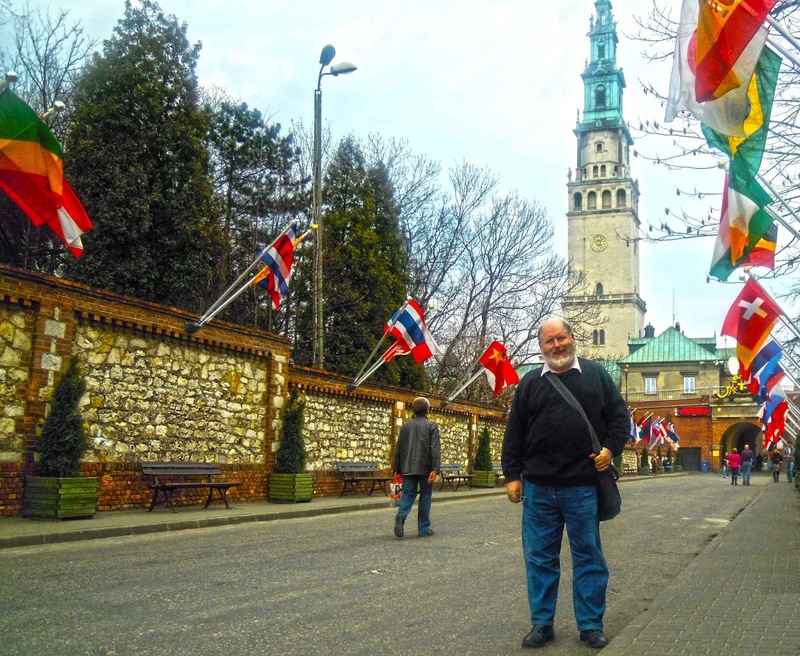 It was VERY traditional and reverent (and all in Polish); but it was also full of spontaneous joy in the Lord. I left a great number of intercessions for family and friends at Our Lady’s feet in that holy place. And I still add my voice to those who encourage as many as possible to make a pilgrimage there. 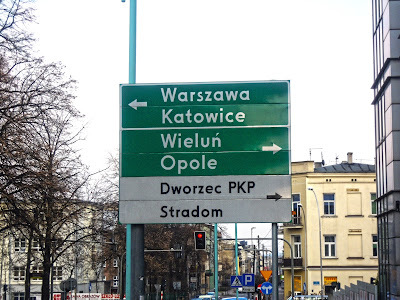 In 1992 Pope John Paul II held his third international World Youth Day in Czestochowa, and an estimated 1.5 million people came from 80 countries. 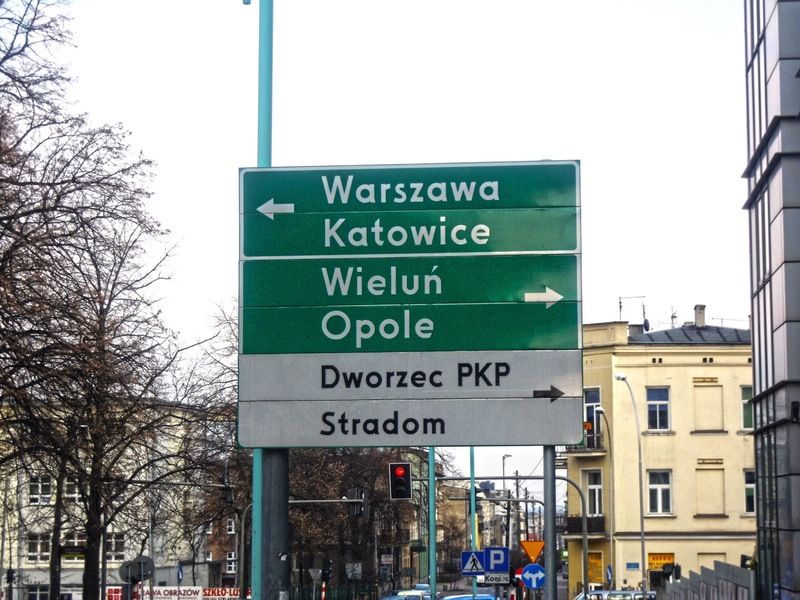 In three weeks time, 26th July, the 31st World Youth Day in Krakow will be launched. 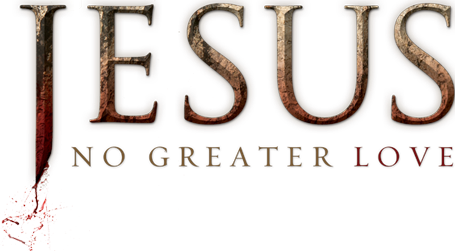 Its motto is “Blessed are the merciful, for they will receive mercy” (Matthew 5:7). 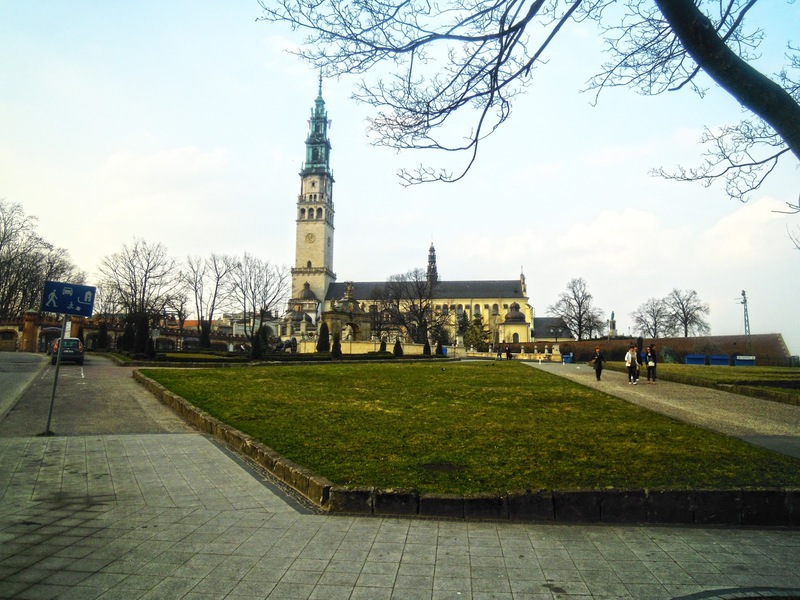 I notice that most diocesan pilgrimage groups of young people are including a visit to Czestochowa in their itinerary. I have met so many people whose faith has come alive through one of the World Youth Days. Let us join our prayers with the intercession of Our Lady of Czestochowa, that the Holy Spirit will so anoint the pilgrimage that every young person who attends will return home knowing that they have encountered the risen Lord Jesus in a special way. One of the brothers took this - just to prove I was there! Loose all their guilty stains. Cowper’s hymn is a meditation on Zechariah 13:1, “On that day there shall be a fountain opened for the house of David and the inhabitants of Jerusalem to cleanse them from sin and uncleanness.” Its graphic imagery has always produced snooty reactions in sophisticated Church circles (the kind of places where you never see realistic crucifixes! ), but I have used it in each of my parishes because it is exactly what people with hearts full of love for God who have come to know they have been redeemed by the Precious Blood of Jesus want to sing! Ordinary run of the mill Christians still believe in the power of the Precious Blood, not just as an article of faith, but as a reality that touches our lives. 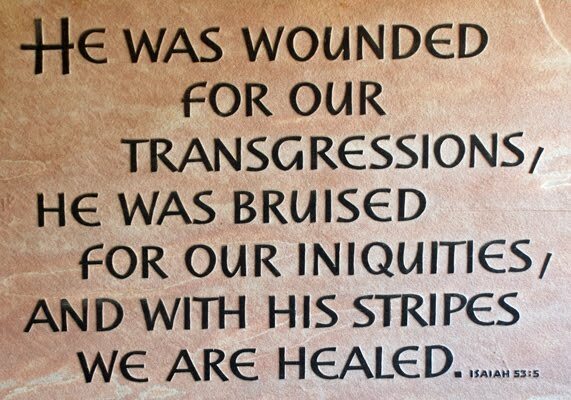 That’s why at the very beginning of Gibson’s film, the words “By his wounds we are healed” occupy the entire screen - a moment not to be missed. It is, of course, a phrase, from the suffering servant poem in Isaiah 53, used by the early Christians to reflect on the meaning of Jesus’ death, and it is the key to understanding all that follows. 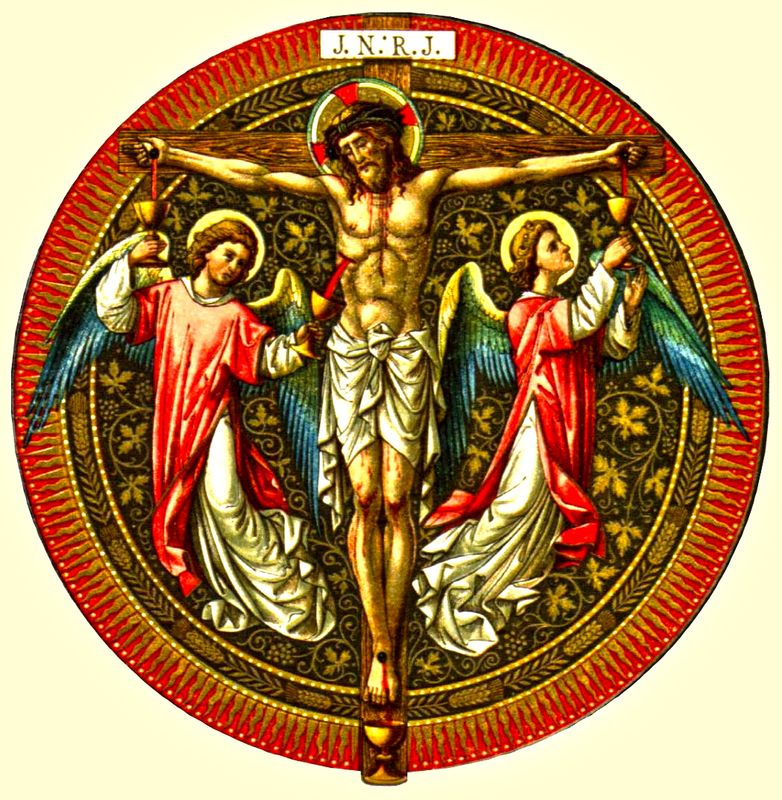 The theme of blood linked to that of the Paschal Lamb is of primary importance in sacred Scripture. In the Old Testament the sprinkling of the blood of sacrificed animals represented and established the covenant between God and the people, as one reads in the Book of Exodus: “Then Moses took the blood and sprinkled it on the people saying: ‘This is the blood of the covenant that the Lord has made with you on the basis of all these words of his’” (Exodus 24:8). Jesus explicitly repeats this formula at the Last Supper, when, offering the chalice to his disciples, he says: “This is my blood of the covenant, which will be shed on behalf of many for the forgiveness of sins” (Matthew 26:28). And, from the scourging, to the piercing of his side after his death on the cross, Christ has really shed all of his blood as the true Lamb immolated for universal redemption. 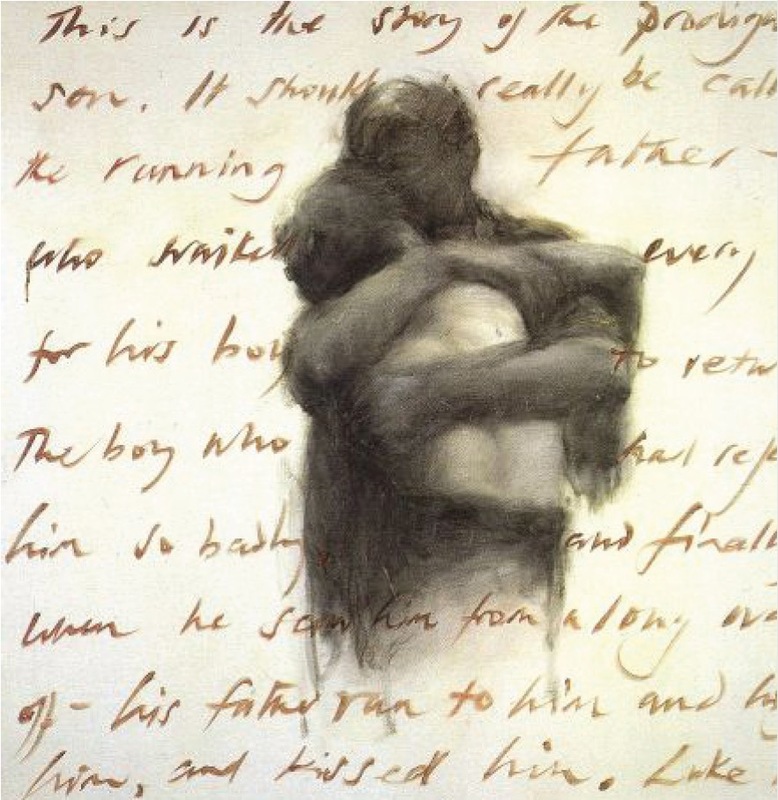 The salvific value of his blood is expressively affirmed in many passages of the New Testament.
. . . it is written in Genesis that the blood of Abel, killed by his brother Cain, cried out to God from the earth (cf. 4:10). And, unfortunately, today as yesterday, this cry does not cease, since human blood continues to run because of violence, injustice and hatred. When will men learn that life is sacred and belongs to God alone? When will men understand that we are all brothers? To the cry of the blood that goes up from many parts of the earth, God answers with the Blood of his Son, who gave his life for us. Christ did not answer evil with evil, but with good, with his infinite love. The blood of Christ is the pledge of the faithful love of God for humanity. 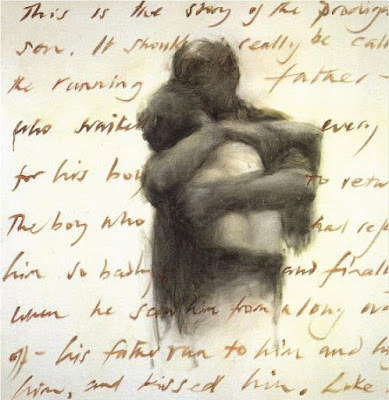 Looking upon the wounds of the Crucified, every man, even in conditions of extreme moral misery, can say: God has not abandoned me, he loves me, he gave his life for me - and in this way rediscover hope . . . According to the Scriptures, the Precious Blood that Jesus shed on the cross out of love for you and for me cleanses us from sin (1 John 1:7), reconciles us to the Father (Colossians 1:20) purifies our consciences (Hebrews 9:14), gives us victory over the powers of evil (Revelation 12:11), and enables us to enter into the very sanctuary of heaven (Hebrews 10:19). And as Pope Benedict reminds us, Jesus said that the Mass is all about the Blood of Christ . . . “This cup is the new covenant in my Blood” (1 Corinthians 11:25). And St Paul says that “the cup of blessing which we bless, is . . . a communion (“koinonia”, “sharing”, “participation”) in the Blood of Christ” (1 Corinthians 10:16). Catholic Christians believe all that Evangelicals teach about the Precious Blood. 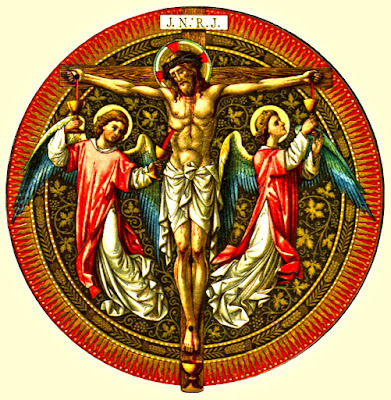 But we also know that in the daily offering of the Lord’s Sacrifice of Love we actually gather on Calvary’s Hill where that Precious Blood flows for our forgiveness, healing and deliverance, for the blessing of those for whom we pray and for the redemption of the created order itself. “Were you there when they crucified my Lord?” asks the old spiritual. The answer is “yes, yes, a thousand times yes!” We have been to Mass so often. So many times we have stood with Mary and John at the foot of the Cross asking that Jesus’ Blood in all its power and grace fall upon us, to cleanse us, to liberate us, and to deepen our covenant union with the Lord. Our lips have touched the chalice so often as we have sipped that Precious Blood in Holy Communion. In the timelessness of the Mass we have also been swept up into the age to come where, with the angels, the saints, and that great multitude which no man can number, we enter the heavenly sanctuary through the same shed Blood and we worship Jesus the God-Man whose Sacrifice of Love is still the focal point of our attention, for, according to the Bible, there he is at the heart of the heavenly worship as “the Lamb who was slain” (Revelation 13:8). That is why our church in the midst of the hustle and bustle and secular business of this city has an altar for weekday Masses. Jesus’ great Sacrifice of Love is continually offered, lifting us out of time into eternity, blurring the boundary between this world and the next, and sanctifying our little corner of space and time in an action that is both intimate and awesome. And, yet, in so much modern worship it is trivialized and there is an absence of reverence, awe, wonder and real praise. Wherever the power of the Precious Blood shed on Calvary’s hill is not understood, not preached, and not sought by the people, the Mass so easily becomes just a kind of chummy fellowship meal, completely horizontalised. I thank God every day for our wonderful Anglican-Catholic patrimony of homely but reverent and awesome worship, offered for those present, as well as for all who do not believe or cannot beflieve.. When the moment of Consecration is arriving, every one should be silent, and trembling with reverential awe; he should forget everything earthly, remembering that the King of Kings and Lord of Lords is coming down upon the altar as a victim to be offered to God the Father, and as food to be given to the Faithful; He is preceded by the Angelic choirs, in full splendor, with their faces veiled, singing hymns of praise with great joy.
. . . the whole heavenly court is present during the Mass and if we had faith, we could see these Angelic hosts gathered around the altar in prayer during the Mass. One day, when a priest was celebrating Mass, I saw, at the moment of Consecration, how all the powers of heaven were set in motion. I heard, at the same time, a heavenly music, most harmonious, most sweet. 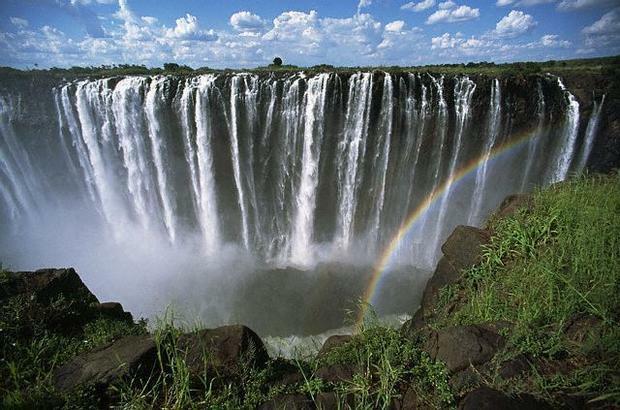 Numberless Angels came down, the chant of whom no human understanding could conceive, nor the tongue of man describe. They surrounded and looked upon the priest, bowing towards him in reverential awe. The devils commenced to tremble, and took to flight in greatest confusion and terror. May God give us the grace to worship the Father “in spirit and in truth” (John 4:24), to humble ourselves before the self-giving of the King of Glory in the Blessed Sacrament, and to share with others our testimony of the power of his Precious Blood so that they, too, might come to know hiis saving grace.